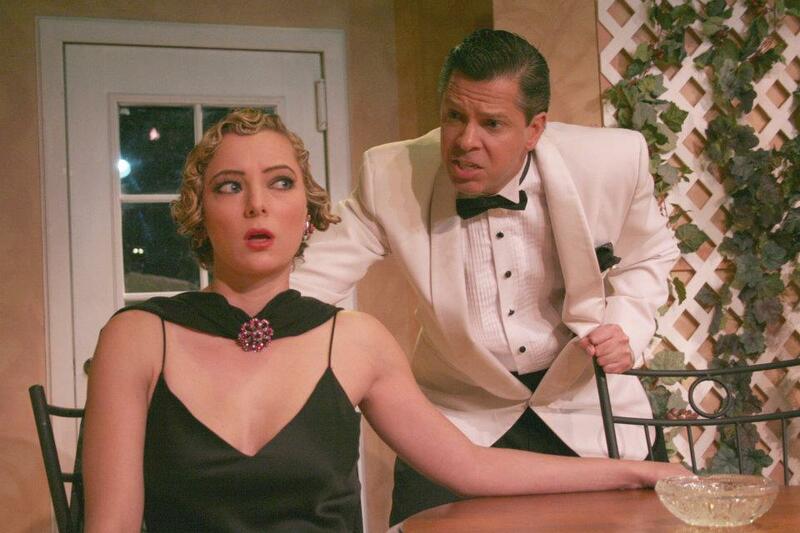 I am Lizzie Zerebko, and I am currently taking the American Classics at Antaeus under Rob Nagle. After being born and raised in the Pasadena area, I went on to study Theatre at USC. I had a brief stint in London while studying at BADA (British American Drama Academy), which reinforced my love for classical theatre- I’ve never looked back. After graduating in 2010, I worked at A Noise Within as an intern and took classes there for nearly a year. Certainly my favorite post-graduation project has been “Shakespearience” at the Alex Theatre, a field trip that serves as an introduction to the wonders of Shakespeare. The audiences (1,000+ students each time) are unlike any other- they allow themselves to feel moved by the material, and have no problem verbally expressing it! Their unique energy is overwhelming at times, but ultimately very rewarding. When I was a wee freshman in high school I saw this show myself, and it is a wonderful opportunity to give back. I can’t wait to perform again this coming March. 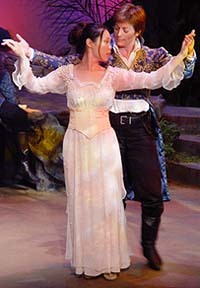 (www.theatricaleducationgroup.com). I could, of course, tell you that I’ve ALWAYS wanted to be a performer since I was ten months old, yadda, yadda. BUT- what I remember most as the true change in the way I viewed theatre was a daytime student matinee at Pasadena Playhouse’s production of PRIVATE LIVES, directed by Art Manke. The overwhelming beauty, intriguing style, and sublime execution have colored my pursuits through the years, both in acting and directing. It was from that performance, I believe, that I garnered my conviction that theatre should be beautiful… somewhere at its heart should be the search for and attainment of beauty, or the failure thereof. 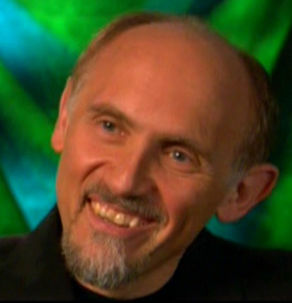 My goal is to talk to Art Manke one day and just let him know what a great influence that particular show has had on my development. I hope that I am bound to run into him at some point, as Facebook tells me we have far too many mutual friends. Hopefully I will be able to give him that compliment and validation- after all, as theatre artists isn’t it our mission to affect the individual with human truth for days or years to come? What brought you to Antaeus? With this developing belief and the resulting inclination toward the classics, how could I not be drawn to Antaeus? In fact, I had been looking at the classes for years before I was able to audition, even while I was still at school. The welcome I have experienced this fall, paired with the dedication and talent of those I know involved, tells me that I have come to the right place. My time with the American Classics has been wonderful. I know that I speak for many when I say that the class gives us an outlet where we can be truly excited and challenged by what we are working on. Rob has been astoundingly flexible and supportive, and has let each of us form our personal class journey to fit our needs. As long as the pieces fall within the guidelines of O’Neill, Williams, and Miller, we have been able to take on whatever material we are drawn to- whether a traditional two-person scene, a monologue, or a female version of Death of a Salesman featuring a Wilhelmina Loman. Our guest moderators have been very informative as well, bringing fresh eyes and new perspectives to make even more well rounded scenes. The level of talent in the student group is truly apparent in the work. I am constantly impressed, as their honesty and willingness have created some of the best theatre I have seen in a long time. Everyone’s positive attitudes also create a nice support system that allows for more risks, regardless of the “success”. I can walk away from this fall’s class knowing that I have reached for things that have scared me, highly triumphant with some…and no so much with others. I’ve been reminded of the immense detail and continuous thought that separates a good performance from a great one. I’ve remembered my personal weaknesses and my ticks and tried to work through them. AND, in the grander scheme of theatre scholarship, I am walking away with a wonderful comprehensive introduction to three distinct American playwrights, each with their own distinct voice that I had never been able to hear before. I am thrilled. I can’t wait for some High Comedy in the spring. Thank you. Any and all of my information can be found on my website, at http://www.zerebko.com. Tell us about yourself (where you’re from, maybe where you studied, how long you’ve been in LA, your favorite credits). I am a native Berkeley girl, raised by a couple of social hippies in the amazing bay area. I had a burning passion to study acting from a very young age, and I ended up at Carnegie Mellon University, where I earned my BFA in Acting. I moved out to New York in June, 2008 and had the great good fortune to be cast as Anybodys in the Broadway revival of “West Side Story” about 3 months into my living in New York. Being a part of that show changed my life, and it was absolutely thrilling and challenging and very fulfilling. I had a bit of difficulty adapting to the hussle and rush of the New York lifestyle, and not too long after the end of my contract I came home to Berkeley and gave myself a break. I drove down to LA to visit a few friends in October, 2010 and I sorta forgot to leave. Here I am a year later, and I absolutely love it here! I’ve had an opportunity to direct, produce, act, sing, dance, and even take classes again. Its been a wonderfully freeing experience. Tell us why you love acting or what made you choose it as your profession, etc. When I was 4 yrs old, my aunt was stage managing with Berkeley Shakes (now Cal Shakes). They were rehearsing a production of “Romeo & Juliet” and the director wanted street urchins to be a part of the opening fight scene. I actually got to stand down center, as a sword fight broke out over my head, and scream out, “Mama, mama!!!”. My acting was so convincing that my own mother, who was reading in the back of the house, jumped up and ran to me, distressed. I apparently said, “Mom, I was just acting!” She says that was the beginning of my love for theater, but all I know is that its a passion I’ve had for as long as I can remember. When I first arrived in LA, I couch-surfed a bit, and ended up more than once on the Joanna Strapp’s couch. She and I had been friends at Carnegie Mellon, and she has always been an extremely generous person. She told me about the Anteaus, and how much she enjoyed being surrounded by so many passionate artists. I also spoke with my aunt, who has always been like a mentor to me in the arts, and she spoke very highly of Anteaus’ work and their overall reputation. So I decided to audition, and I’m so glad I did. What do you want to gain from the class? Do you have a specific “problem” on which you want to focus? My main goal with taking this class is to free myself from self-imposed limitations. When you’re working in a college conservatory program, its easy to feel that you are limited by your weaknesses, and by your classmates’ strengths. For example, I always felt like I wasn’t the most emotionally free actress, while a couple other girls in my class were extremely emotionally free. I also didn’t feel very brave in school, so I am finding myself overcoming some of that in this class. What do you think of the class so far? Geoffrey Wade is an amazingly supportive and nurturing teacher. He finds a way to balance the two components of teaching a class like this (acting coaching and scene directing) with such a delicate and refined skill. Its lovely to watch him work with others, and thrilling to get up yourself and work with him. I also feel so lucky to be in a class with people from so many different backgrounds and experiences. Each actor has a unique strength and struggle, and it makes for a lot of exciting work every time we meet. What is your experience with classical theater? Has class reinforced/changed what you previously thought, or have you learned new things, etc? I was surrounded by shakespeare from a very young age, and even in elementary school I felt as though the text made sense to me in a way that was somewhat innate. During my training at Carnegie Mellon I was able to work in great detail on many classical scenes from Greeks to Shakespeare to Checkov to Ibsen to Miller to Williams. I had the opportunity to play Natasha in a CMU production of “The Three Sisters” with guest director, Vladimir Mirodan, from The Drama Centre in London. This class has definitely reinforced a lot of my conservatory training, and its been a great reminder to me of some key things, like the importance of giving all you have to your scene partner in order to make something happen between the two of you. The most successful scenes so far have been when both actors were totally invested in each other and truly responding to what the other actor was giving them.Tell us a fun fact about you or highlight one of your unusual special skills. I was a gymnast from age 4-12, and I can still do a mean back flip. Also an aerial (no-handed cartwheel). I just celebrated my one year anniversary with LA and also with my boyfriend, who I met two weeks after I got here. I couldn’t be happier!Tro Shaw is currently in the Greeks/Shakespeare Classics Class. Auditions for our Spring Semester of Classes take place on January 13th and 14th. Email academy@antaeus.org for more info. Andrew Barnicle heads May Shakespeare Workout! Through lecture, monologue work, and scene study, the workshop will reconcile Shakespeare’s verse with Stanislavski beatwork. 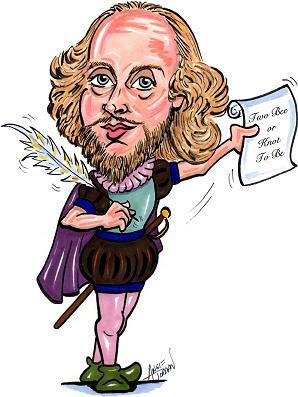 Actors gain an understanding first of why the Elizabethans wrote the way they did, then a series of exercises that break iambic pentameter into workable beats, with the aid of guidelines to help understand and emotionalize verse. Limited spaces available. Email deirdre@antaeus.org to sign up! 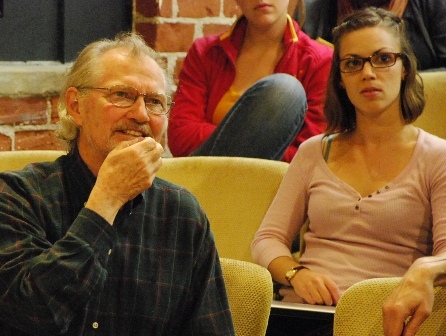 ANDREW BARNICLE served as artistic director of The Laguna Play­house from 1991 through 2010. In that time he produced over 100 Playhouse shows and directed over 40 of them, including many World, U.S., West Coast and Southern California premieres. Recent directing projects include Noel Coward’s Private Lives, Ron Hutchinson’s Moonlight and Magnolias, (which also played the La Mirada Theatre for the Performing Arts as a co-production with McCoy/Rigby Entertainment, and Burbank’s Colony Theatre), Michael Hollinger’s An Empty Plate in the Café du Grand Boeuf and Red Herring, Yazmina Reza’s Art, the World Premieres of Bernard Farrell’s The Verdi Girls, Richard Dresser’s The Pursuit of Happiness, the U.S. premiere of Bernard Farrell’s Many Happy Returns, Steve Martin’s The Underpants, and Somerset Maugham’s The Constant Wife. 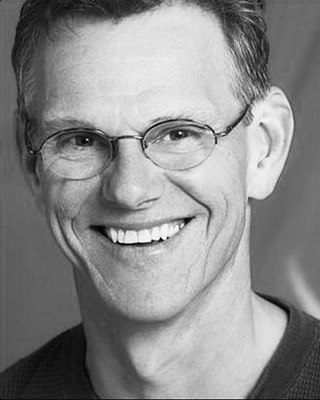 Andy directed a wide range of works over the years, including the award-winning American Buf­falo, three other U.S. premieres by Bernard Farrell, Richard Dresser’s Rounding Third and Wonderful World, and Andy’s world premiere adapta­tion of his wife Sara’s translation of Carlo Goldoni’s The Liar, as well as Shakespeare’s A Midsummer Night’s Dream and Othello, and Ibsen’s An Enemy of the People. Andrew previously served as Head of Theatre at United States International University’s School of Performing and Visual Arts in San Diego, and was the Associate Artistic Director of the North Coast Repertory Theatre in Solana Beach, where he directed seven plays, including the San Diego premiere of Torch Song Trilogy. He has also directed at San Diego’s Theatre at Old Town, Michigan’s LORT Meadow Brook Theatre, Gunmetal Blues, Rounding Third, and Charels Evered’s Celadine at the Colony Theatre, and The Foreigner at the San Jose Repetory Theatre. 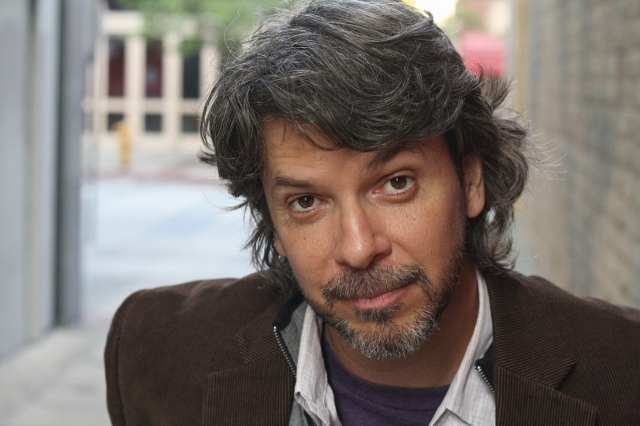 As an actor, he has appeared numerous times Off-Broadway and in major roles in eighteen LORT productions across the country, including Meadow Brook Theatre, the Alabama Shakespeare Festival, San Diego Rep, the Alaska Rep, and five roles at The Laguna Playhouse, including The Actor in Enter The Guardsman, Sam Galahad in both the production and on the cast album CD of Gunmetal Blues, and most recently as Lawrence in David Rambo’s The Ice-Breaker. By appointment only: please email headshot/resume and cover letter to academy@antaeus.org to schedule your audition. The Antaeus Academy focuses on all aspects of classical theater skills, technique and experience. From basic to advanced levels, classes are taught by an ev er-changing roster of some of the finest actors, directors and acting teachers in the country. Experienced actors reinvigorate and reconnect with their craft. Early-career artists learn from seasoned professionals in classes, readings, workshops and productions. All are encouraged to audition: previous classical theater training not required. A series of master classes in classical scene work moderated by various Antaeus members, as well as other acclaimed professional directors and actors. The workshop culminates in a presentation of scene work for Antaeus Company members and invited guests. Past moderators include: Annette Bening, Gil Cates, Stephen Collins, Brian Cox, Bart DeLorenzo, Nike Doukas, Olympia Dukakis, Sheldon Epps, Brendon Fox, Arye Gross, Michael Hackett, Gregory Itzin, Jessica Kubzansky, Jonathan Lynn, Dakin Matthews, Alfred Molina, Jeffrey Nordling, Austin Pendleton, Diane Rodriguez, Armin Shimerman, Stephanie Shroyer, French Stewart, Elizabeth Swain, & Stephen Wadsworth. Class fee: $600 for 14 week session, $550 early bird discount. Our newest class offering, designed to help upcoming professional actors gain experience and skills in performing the classics. Through text analysis, monologue and scene work , study will focus intensively on two styles/authors per session, allowing actors intensive exploration in the fundamentals of classical theater. Class fee: $600 for 12 week session, $550 early bird discount. Experience the challenges and rewards of playing Shakespeare in sessions moderated by a rotating group of L.A.’s top actors, directors and acting teachers. An ongoing, year-round program, Shakespeare Workout features a different guest moderator every month. The workout covers an array of all things Shakespeare: text analysis, poetry and prose, historical study, vocal and physical technique; featuring monologue and scene work throughout. Actors new to the workshop commit to an initial 12-week session. Class fee: $570 for initial 12 week session, $500 early bird discount. Class fee, new actors: $570 for initial 12 week session or $500 early bird discount! This workshop, focusing on selected texts from Hamlet, will explore methods of enhancing the classical actor’s range, depth and scope onstage. Using Elizabethan Cosmology, Folio Clues, “Geography of Thought”, and the Actor/Audience relationship, I will assist the willing actor in finding new ways of playing through great monologues and scenes from this familiar and monumental work. Here are some practical, helpful tools for playing Shakespeare with more presence, more intellectual clarity, more focused inquiry and more persuasive argument in expressing the “Soul” of the play. If you’d like to bring ten to twenty lines of any character’s text, memorized, from the play Hamlet for the first meeting, please do; other scenes will be assigned, and group discussion, exercises and master class-style lessons on unpacking and embodying the text will ensure that everyone participates at every meeting. Lisa Wolpe is an actress, director, teacher and producer. She is the Artistic Director of the Los Angeles Women’s Shakespeare Company, an award-winning all-female, multi-cultural theater company that she founded in 1993. L.A. Magazine has called seeing the LAWSC “one of the ten coolest things to do in Los Angeles” Ms. Wolpe recently produced, directed and played Iago in Othello at the Theatre @ Boston Court; other favorites include Richard III, Hamlet, Romeo, Henry V, and more. She and received the LA Drama Critics Circle Award for Sustained Excellence in 2008, and the company has been featured on PBS, CNN, ABC, NBC, CBS and London’s International News. 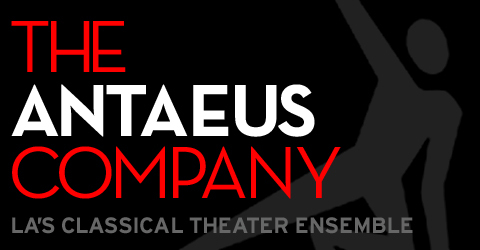 Antaeus: TONIGHT AT 8:30 and several CLASSICSFESTs, among others. Broadway:THREE PENNY OPERA; ST. JOAN, BROADWAY and I REMEMBER MAMA. Regional Theater: San Diego Repertory Theater, San Diego Globe, American Shakespeare Festival, Indiana Repertory Theatre, and the Guthrie Theatre. Los Angeles Theater – (selected list) Matrix Theater: Birthday Party (LA Drama Critic’s Circle Nom. Lead Performance), LATC, Odyssey Theatre, and the Mark Taper Forum. TV: 100 different TV shows including “Buffy the Vampire Slayer,” “Boston Legal,” and series regular Quark on “Star Trek: Deep Space Nine”. Voice-overs: (selected list) “Adventures of Billy and Mandy,” “Evil Con Carne,” “Underfist,” “Bioshock,” “Green Goblin” for Marvel, Toad for the “X-men” game. As an educator, he has taught Shakespearian scholarship at theTheatricum Botanicum, the Tyrone Guthrie Theater, the College of Idaho, UCLA’s Performing Arts Camp, Claremont College,and forAntaeus. He is a three time published novelist for Simon and Schuster, and has directed several of Shakespeare’s plays at several theaters in Los Angeles. As a fight director for the past 35 years, Steve Rankin has staged fights all over the US, Canada, London and Australia. His Broadway credits include the new hit musical Memphis as well as all of the productions worldwide of Jersey Boys. Plus Guys and Dolls, The Farnsworth Invention, The Who’s Tommy, Dracula, Two Shakespearean Actors, Getting Away With Murder, Anna Christie, Twelfth Night, The Real Inspector Hound and Henry IV Parts I & II at Lincoln Center. Off Broadway credits include: The Third Story, Pig Farm, Below the Belt, The Night Hank Williams Died. Mr. Rankin is an Associate Artist of the Old Globe Theater as an actor and Fight Director.